Elliott A. Serafin, of Cascade Township, passed away at his home, Thursday, January 17, 2019. Born October 29, 1931 in Stafford Springs, Connecticut to Mary Alice and Attilio A. Serafin. He graduated from Mt. Hermon School (Massachusetts) in 1949 and Stanford University (California) in 1954 with a degree in Economics. Following Air Force Pilot Training, he served as an Intelligence Officer with the Strategic Air Command for 2 years and was discharged in 1957. His work with Kroger Co. brought him to Grand Rapids in 1962. Joining Steelcase, at the invitation of Bob Pew in 1966, as Personnel Director and retiring in 1994 as Director of Corporate Planning. His 29 years with Steelcase enabled him to travel extensively throughout the United States, Europe, Japan and other regions in Asia, experiencing the diversity of other cultures. He also served as a Board Member of many community service organizations during the 1960’s and 1970’s. Among the boards he served, Goodwill Industries, Junior Achievement, The Industrial Relations Group of the Employer’s Association, The Lay Board of Forest View Hospital, The Better Business Bureau, The East Grand Rapids Library Friends, and the Grand Rapids Chamber of Commerce. Elliott was also active in Michigan politics. He served as 5th Congressional District Republican Chairman from 1970-1974, as an advance man for Gov. George Romney 1968 Presidential Nomination Bid. Furthermore, he served as an advance man for Vice President Gerald R. Ford, and was delegate to the Republican National Convention in 1968 and 1972. Elliott led a full wonderful life! Traveling extensively throughout North America, Europe and Asia. He was a lifelong avid reader, often reading a book a day. He adored visiting the great art museums of the world. 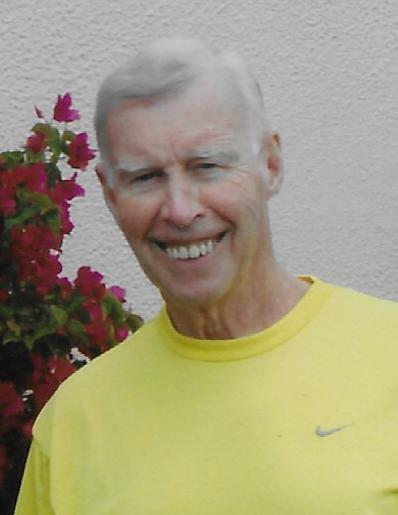 Physically active throughout his entire lifetime, he enjoyed tennis, skiing, hiking, biking, sailing and working out. Elliott also loved learning languages. He was well versed in 3 languages, as well as, partially speaking 4 others. He loved the diversity of other cultures around the world and learning everything he could about the countries and people he met along his travels. Although he traveled the globe, Paris will always remain his favorite place, which he visited frequently. His greatest love was his family and he was grateful for the opportunity to spend quality time with them. Surviving are his daughters, Anne Bauer, Amanda Smith (William), grandchildren Alexandria Jester (Asa Gervich), Austin Jester (Mandy), Ian Jester (Katherine), Parker Smith and Riley Smith; great grandchildren Lillia and Findley Jester; step children Karen Reed (Rich) and Christopher Bell; step grandchildren Lauren and Drew Weidenfeller and one brother, Alan R. Serafin (Ginny) of Stafford Springs Connecticut. Private family services have taken place. Burial will take place in Findlay Cemetery, Ada, Michigan, next to his beloved wife, Barbara who preceded him in death on Feb 16th 2006, as well as Stafford Springs, Connecticut next to his parents. Elliott carried with him a poem by Chief Tecumseh – The last few lines favored by him. We will forever cherish our time with Elliott and miss him every single day.